Let us take care of the homework! Our AFTER SCHOOL program is designed to guide your child to succeed in school by providing one-on-one math, reading, science, social studies, Dual Language or Trilingual curriculum and GT tutoring! 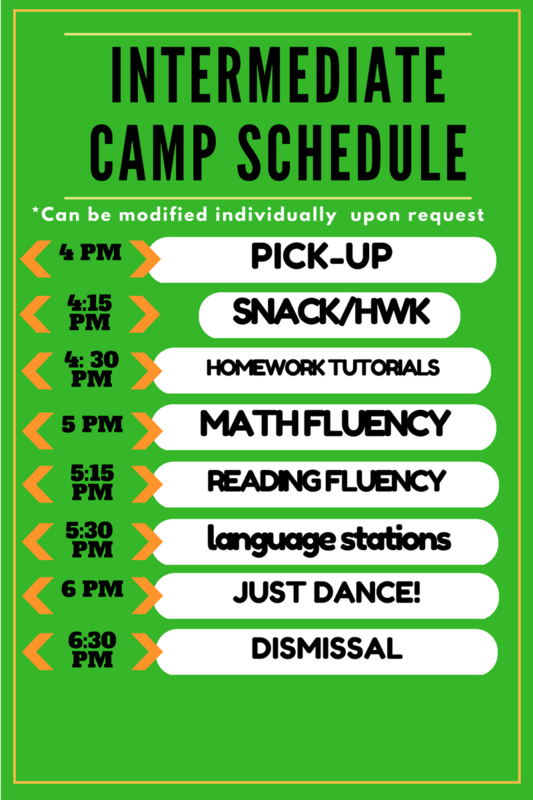 Campers will be picked up from the selected schools and will be provided with a snack and a drink daily. 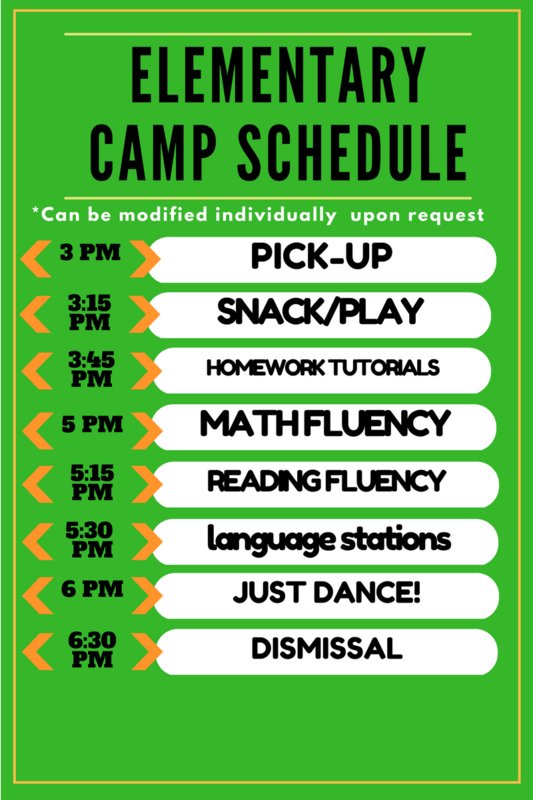 Pick up time is 6:30 p.m.
*Must submit payment in order to secure your child's spot in addition to this form! All Day Program ONLY APPLICABLE ON HOLIDAYS: $55.00 per child/per day.